RemixingPlanet.com is your home recording studio guide and reviews. 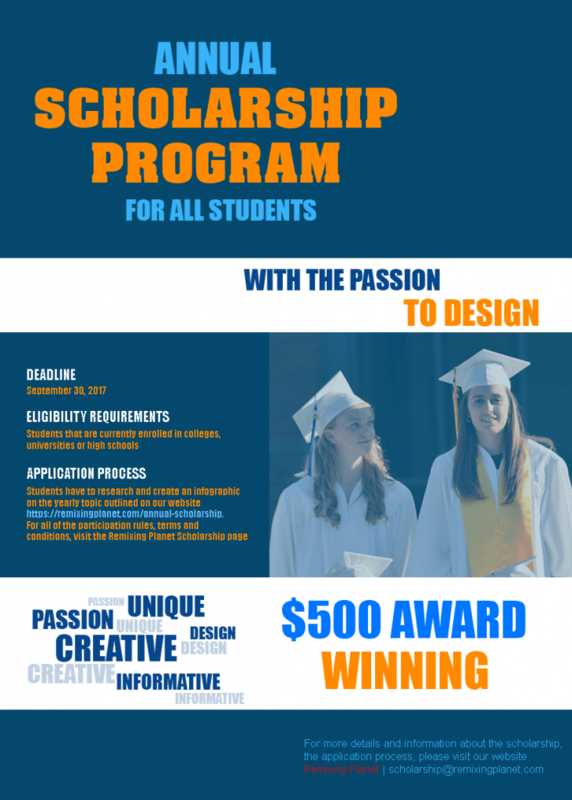 We have created the RemixingPlanet.com Scholarship for all students with the passion of “Creative Design” to receive $500 award. The scholarship recipient will receive the scholarship award in approximately 30 days after the deadline. By participating, you are giving your consent for us to contact you via mail, email and/or call to you. In addition, if you are the winner, you are giving us your express consent to use your name, college or school identification and your design on this site and for any other promotional purposes, without further compensation or payment to you. If you want us to use your photo, please send that in with your submission. Choosing the Best Studio Headphones for Mixing Is Not a Piece of Cake!